The NVIDIA GeForce GT 730M is a DirectX 11 graphics card of the middle class. It is based on the Kepler architecture and manufactured by TSMC in a 28-nanometer process. In addition to an older version with the GK107 chip (384 shader, 128 bit memory), there also exist models with the new GK208 (384 shader, 64 bit memory). Both versions use DDR3 memory. Both GK107 and GK208 are based on the Kepler architecture and offer two shader blocks, called SMX, each with 192 shaders for a total of 384 shader cores. The shaders are clocked at the same speed as the rest of the chip. Although more shader cores are available in the Kepler architecture as compared to the Fermi design, the Kepler shaders are much more efficient. However, due to the missing hot clock of the shader domain, two shaders of a Kepler chip are as fast as one shader of a Fermi chip even though Fermi shaders are clocked at twice the speed. PCIe 3.0 is now supported by the mobile Kepler series and an optional Turbo mode can automatically overclock the Nvidia card by a theoretical 15 percent if the laptop cooling system allows it. This feature is available on any notebook with a graphics card of the 700M series. The gaming performance of the GK107 version is on the same level or slightly above an average GT 645M, or about 10 - 15 percent below the GT 650M. Therefore, demanding games (as of 2013) like Battlefield 3, Bioshock Infinite, or Tomb Raider are playable in 1366x768 resolution and medium settings. Less demanding games like Diablo III can be played fluently with maxed out settings at full HD resolution settings. The GK208 version, however, performs significantly worse and is sometimes even below the GT 640M. Still, the performance depends on the core clock and the GPU Boost 2.0. Detailed benchmarks can be found further down on this page. The 5th generation PureVideo HD video processor (VP5) is also integrated in the GK107 core and offers hardware decoding of HD videos. Common codecs such as MPEG-1/2, MPEG-4 ASP, H.264 and VC1/WMV9 are fully supported up to 4K resolutions while VC1 and MPEG-4 are supported up to 1080p. Two streams can be decoded in parallel for features such as Picture-in-Picture. Another novelty is the inclusion of a dedicated video encoding engine similar to Intel QuickSync that can be accessed via the NVENCI API. The power consumption of the GeForce GT 730M should be similar to the GT 640M or possibly slightly less. As a result, the Nvidia GPU is best suited for multimedia notebooks 14-inches in size or greater. The NVIDIA GeForce GT 735M is a DirectX 11 graphics card of the middle class, which has been presented in spring 2013. It is based on the Kepler architecture and manufactured by TSMC in a 28-nanometer process. The GK208 chip (384 shaders) is clocked at up to 889 MHz plus boost and has a 64 bit memory interface (DDR3). Despite the nominally higher classification, the GT 735M is therefore slower than the 128-bit version of the GT 730M. The GK208 is a slightly revised version of the previously Kepler chip GK107. Although both have the same number of shader units (384 ALUs), the memory interface has been cut down from 128 to 64 bits. The GK208 supports PCIe 3.0 as well as GPU Boost 2.0. This feature can automatically overclock the card if the laptop cooling system allows it. GPU Boost 2.0 is available on any notebook with a graphics card of the 700M series. Depending on the clock rate, the performance of the GT 735M is somewhere between the GT 640M LE and the GT 640M. In particular, the narrow memory interface limits the performance significantly. Current games (as of 2013) can thus be played fluently only in low or medium settings. In older titles, there are also reserves for higher quality levels. The feature set includes support for up to 4 active displays. Furthermore, high resolution monitors of up to 3840x2160 pixels can now be connected using DisplayPort 1.2 or HDMI 1.4a if available. HD-Audio codecs, such as Dolby TrueHD and DTS-HD, can be transmitted via bitstream mode through the HDMI port. However, as most laptops will feature Optimus, the integrated GPU will likely have direct control over the display ports and may limit the feature set available by the Nvidia Kepler cards. 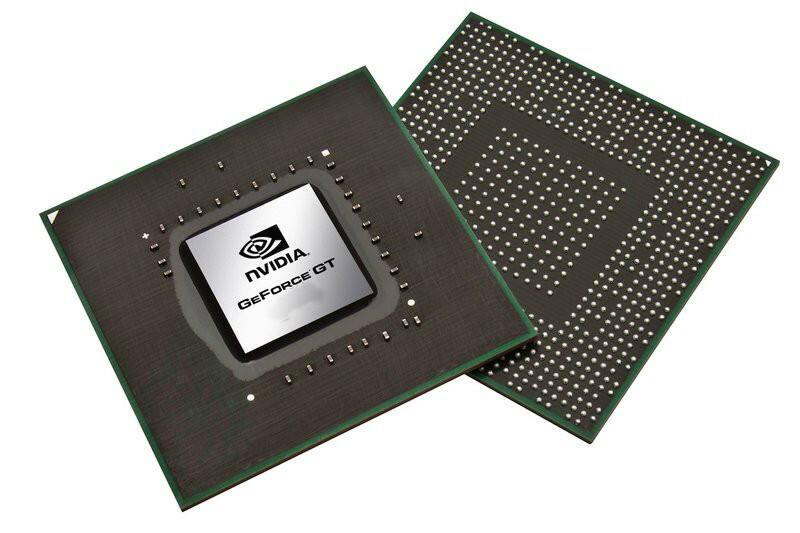 The power consumption of the GeForce GT 735M should be similar to the old GT 640M LE (about 20 W), as Nvidia describes the card as a "low power" model. As a result, the GPU is best suited for notebooks 13-14 inches in size or greater.